Chaplin Court Treatt and Stella Court Treatt, British motoring pioneers, c1924-c1926 (1927). The notion of a Pan-African Highway crossing the continent from north to south was a British imperial dream that first emerged in the 1890s. In 1918, when Tanganyika passed from Germany to Britain after the First World War, it became theoretically possible to make the journey exclusively on British territories. Chaplin Court Treatt (1888-1954), a British former Major in the Royal Flying Corps, led the first expedition to successfully drive from Cape Town to Cairo. Leaving Cape Town on 23 September 1924, the expedition, in two Crossley light trucks, arrived in Cairo on 24 January 1926. 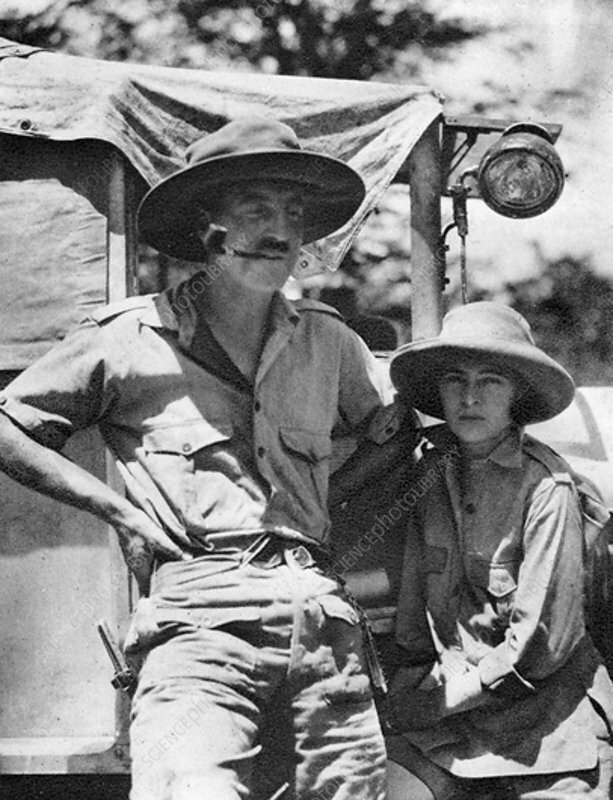 Treatt and his wife Stella made a film of the expedition and she also wrote a book about the journey, Cape to Cairo, published in 1927. The highway did not come to fruition however. A print from Cape to Cairo, by Stella Court Treatt, George G Harrap and Company Ltd, 1927.